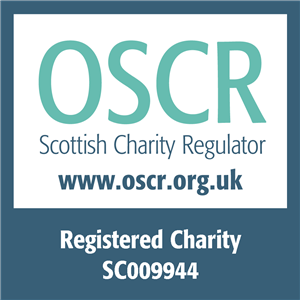 My main motivation, initially, for getting involved in charities, was that I had recently moved to Edinburgh and didn’t know anyone in the City aside from my new work colleagues. I joined a charity as a volunteer and after finding out they were looking for a new treasurer, decided to join their board of trustees. I hadn’t volunteered as a trustee before, but I had always been involved in students’ union work whilst at university, it seemed like a natural progression to go sit on a board after graduating. No one paid me to say this, but, going on EVOC’s training for charity trustees was hugely beneficial – I admit I was pretty clueless about charity rules and regulations, I had jumped into the role a bit head first! Thankfully, I had supportive fellow board members beside me to help me learn about my new role and as I was working in a junior position at work, I enjoyed the new responsibilities that the role gave me. Working with the charity gave me invaluable experience; from grant writing, to writing business plans and understanding HR. I’m not going to lie and say it was plain sailing, it was an incredible learning curve, especially when I became co-chair with a fellow trustee. Volunteering as a trustee gave me experience and examples of much higher level work than my paid job did, which helped me greatly when looking for new jobs and progressing my career. It also broadened my horizons outwith my career in admin. It gave me greater work-place resilience, made me realise my own capabilities and helped improve my own self-confidence. I volunteered with the charity for over two years as a trustee, and it was a difficult decision to step down when I did. I’ve since been volunteering in non-trustee roles, but I am currently looking into joining another board in the near future.